The first step in branding a new company is identifying the image desired. 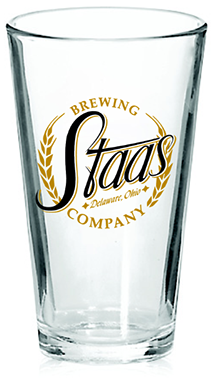 In the case of Staas Brewery, a start up outside of Columbus, the client wants a progressive and inviting feel. Something that will look as good on packaging as it will as bar signage itself. EdCom usually provides only about 3 initial proofs of logos, but this one we had a hard time whittling down the last few and we also knew and trusted the family behind the company to help out. We’re looking forward to continuing elaborating on the branding that has begun with this logo.